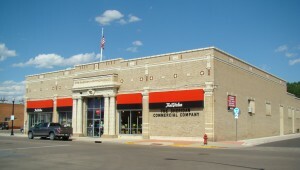 Current Tenant: Sheridan Commercial Co. Originally formed in 1892, the wood building was built in 1887 by Edward A. Whitney with a 1902 addition. The site contained a general store, with products ranging from groceries to hardware, even including its own butcher in the rear of the building. The upstairs contained rented rooms. Although the building kept its status as a general store, it hit hard times as more businesses like it opened in town. Ellsworth Gwinn was hired on three separate occasions to restore the business to good standing and became manager in 1911. 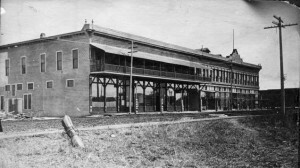 The original building burned down in 1915. The Sheridan Post reported: “it was one of the most spectacular daytime fires that ever occurred in Sheridan and was witnessed by thousands of people who crowded in the street in all directions. Luckily there was but a small breeze, else several other buildings in the wholesale district might have gone with the Commercial.” While the fire devastated the building, John Kendrick rebuilt the store in 1917, coming in as an investor. The building now features the Kendrick “K” in its frieze, connecting it to several other buildings in town. 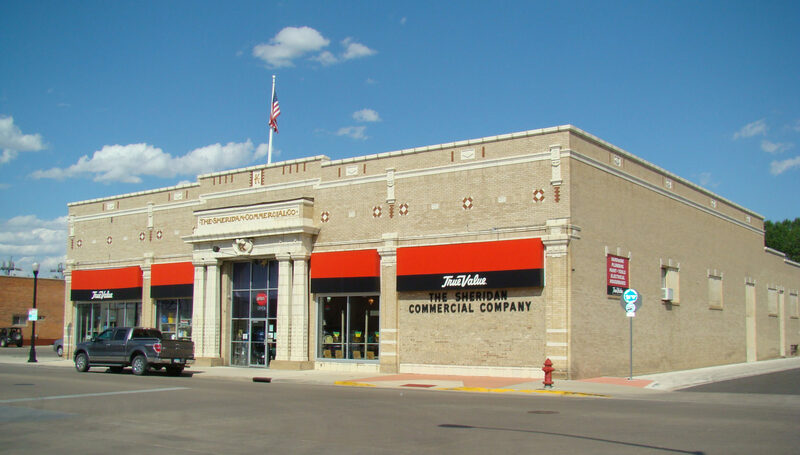 Not only does this building function as the oldest business in the same location, it also unites two important Sheridan families in one business.